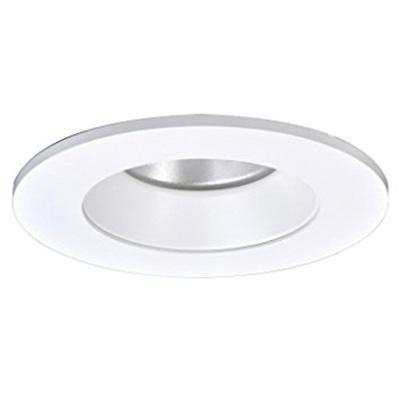 Halo Solite Collection 4-Inch Round LED regressed flat lens reflector trim features die-cast construction and has glass lens. It has matte white finish reflector for uniform light distribution. It has LED lamp and comes with matte white ring. It measures 5-1/64-Inch OD x 1-11/16-Inch. LED regressed flat lens reflector trim is UL/cUL listed.